A woman in Pennsylvania is suing Google for alleged illegal wiretapping that she says involved intercepting emails that she sent to Gmail accounts and then publishing ads related to their content . Her lawsuit is similar to that of others that have been filed around the US in recent months. They are being filed by class-action attorneys who claim that the practice is in violation of wiretap laws in several states. These class-action suits represent email users who are not holders of Gmail accounts and have not signed on to the privacy terms of Google, who also has been cleaning up its search results page lately. The terms state that Google can intercept your emails and then use them for marketing reasons, according to a class-action lawyer who is suing Google in Maryland, Florida and Pennsylvania. He says Google also is capturing the emails of people who do not have Gmail accounts. In the court filing in Maryland, Google has conceded that it scans email for spam and viruses, but that it is allowed to do so under federal wiretap regulations. Google argues that selling ads based upon the content of an email is standard business practice that is allowed under an exception in the wiretap law. Google has noted that Yahoo and others sell ads in a similar way. 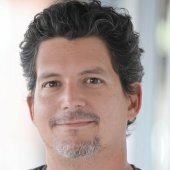 Google lawyer Michael Rhodes has stated in recent weeks that selling ads in order to give a free service to consumers is a legitimate goal of business. If not, the whole way in which content is provided on the Internet would then be illegal, just as would the business model that TV programming has been provided for free for 50 years, Rhodes claims. Courts that are reviewing wiretap suits have stated that parties typically provide implied consent regarding having communications taken and recorded when they are using email. One electronic privacy expert has called it a stretch for Google to compare search for ad leads to looking for spyware. 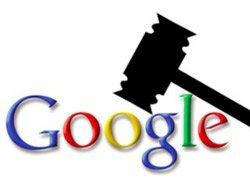 Google has been the target of another lawsuit lately and lost. We’ll see how this one turns out for the search giant.